An article by Eric Pickles in Wednesday’s Daily Telegraph afforded him the opportunity to revel in the canting sub-Dickensian persona that we have all come to know, but not necessarily to love. The object of his ire on this occasion, inexplicably (from a rational perspective) has not been, for example, the group of people who recently issued death threats against Tom Holland for his documentary ‘Islam: The Untold Story’, but the National Secular Society and the “aggressive secularism” that he claims it embodies. When did you last hear or read a news story about “aggressive” secularists threatening to kill or maim someone because they happened to disagree with their perspective, or to back up objections to an historical documentary with threats of violence? Secularists campaign both for freedom of religion and, even more importantly, the right to freedom from it; beyond that, their political beliefs are disparate. Warsi and Pickles “do God” (or Allah in the case of the former), which is a great pity; for we would all benefit from rather less faith, and more scepticism. Pickles opens his piece with a specific appeal to what he perceives to be the merits of Christianity and its role in shaping “the heritage, morality and public life of Britain”, claiming that it is “the Christian ethos has made Britain so welcoming”. He echoed with approval David Cameron’s assertion that “we are a Christian nation – and should not be afraid to say so”; all very flattering, if you happen to be a Christian that is. 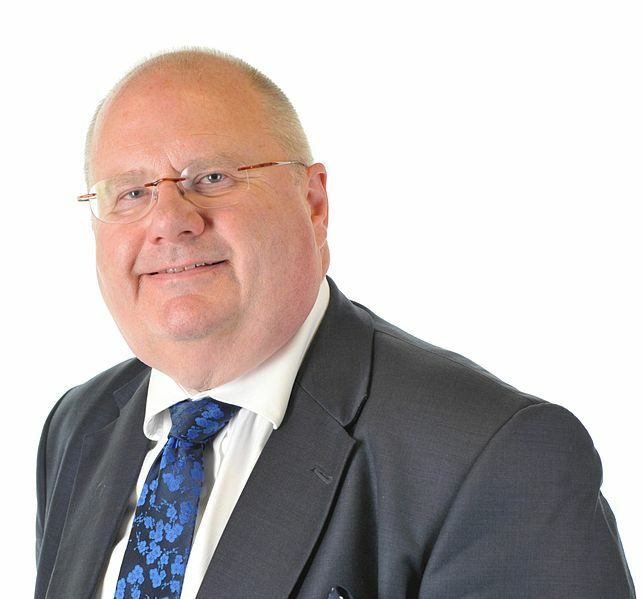 Elsewhere, Pickles asserts that there should be a greater involvement of Christian organisations in public life and the formulation of policy; he claims that “faith communities” stand for “integration” and “tolerance”, providing all with the same basic “moral compass” (one, it would seem, that almost always points East rather than North) and thus bind society together; he wishes to see religion challenge “moral relativism”, and for “aggressive secularism” and the “intolerant National Secular Society” to be confronted. He even manages to shoehorn a negative reference to the European Court of Human Rights into the article, thereby injecting a little cod nationalism into the tenor of his piece. The idea that dwelling on the very issue that divides us most– religion – somehow brings communities together is the biggest lie peddled by these governments [i.e. those of Blair, Brown and Cameron]. With Pickles still in post as Secretary of State for Communities and Local Government, and Sayeeda Warsi recently appointed as Minister of State for Faith and Communities, we find ourselves in the unenviable position of having advocates of God and Allah pushing their unwelcome personal religious agendas in high office. These divisive posts need to be abolished, and religious belief or lack thereof, left to the conscience of the individual and divorced from matters of state. It should not be the business of government to nurture religious difference, or to offer special recognition to so-called “faith communities” and their associated pressure groups, for such a policy, which has allowed for the teaching of anti-science in a number of state-funded schools, is having a damaging impact upon both our intellectual life and general public culture, not to mention social cohesion. Pickles is wrong, and it is time that he found himself another job. As the proverb goes: “The road to hell is paved with good intentions”; and it would seem that the “good intentions” of the faithful in this case, are energetically propelling us down this road, albeit one that ends not in the spiritual hell of the religious imagination, but a temporal one here on Earth. Eric Pickles: which Dickensian character does he most resemble? A good suggestion! Will there be any others? Mr Pickwick who was well intention and basically harmless. Mr bumble was quiet an unsavoury character. Not a bad choice, although Pickles is a somewhat less picaresque figure than Pickwick.